BRYAN EATON/Staff photo. 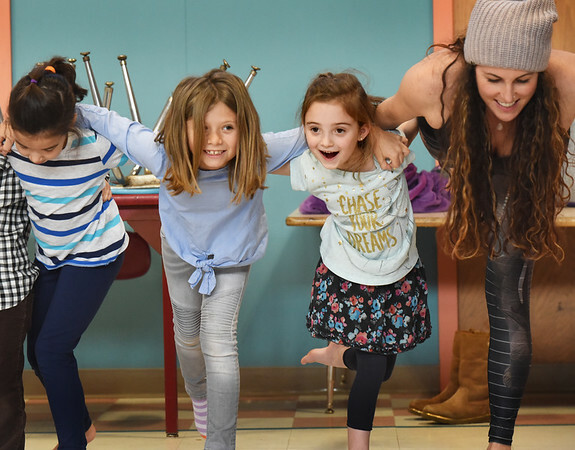 Instructor Elissa Shoreman, right, and her 10 students lock arms, stand on one leg and bend forward in one of their excercises. From left, Addison Moore, 6, Finley Goodrich, 8, and Emme Lupa, 6.